Following January's referendum we are please to announce that the Neighbourhood Development Plan has now been officially adopted by Cornwall Council. The Poll Results show that the community voted resoundingly in favour of the NDP. On Feb 22nd Cornwall Council published their Adoption Decision and Adoption Report which is the final step to fully implementing the Plan. The South Hill NDP will now be part of the decision making process for any development decisions in our Parish. Many thanks to all of the residents who took time to come to the various presentations and take part in the surveys and also come out to vote. 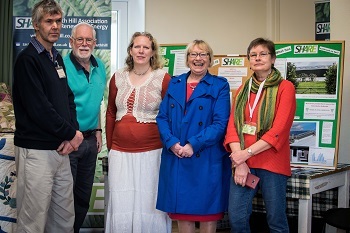 The Neighbourhood Plan, or Neighbourhood Development Plan (NDP) for South Hill Parish has been put together by a steering committee of councillors and volunteers under the auspices of the Parish Council. The aim of the plan is to give local residents, via the Parish Council, more of a say in determining planning applications in the parish. All of the details regarding the plan can be found below. 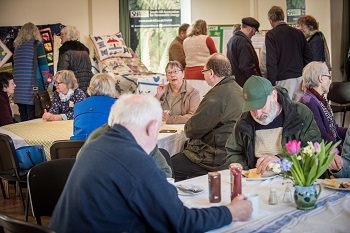 The South Hill Parish Neighbourhood Development Plan (NDP) held it's Free Big Breakfast event on March 4th at the Parish Hall. 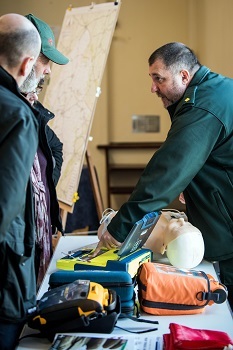 You can read all about the success of the event from it's organiser Councillor Nick Easton here. 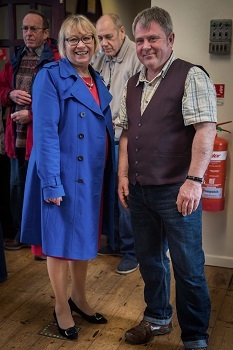 Local photographer, Richard Squires, took lots of photos during the event showing how popular the event proved. Many thanks to all of the resident's who showed their support on Saturday. All of the comments we received were positive, it was good to know that the Plan that we have drafted has so much support around the Parish. The NDP was put together by a Steering Committee that was set up April 2014. This team, working under the guidelines of the National Planning Policy Framework , took the results of the Dec 2014 Residents' Survey and used these alongside the Cornwall Local Plan: Strategic Policies to create the policies that can be seen in section 7 of the NDP. 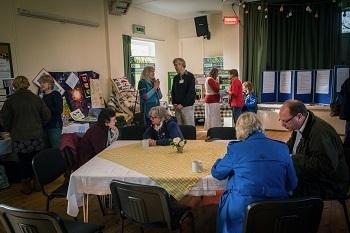 The process also involved looking at the policies created by similar Cornish parishes in order to see whether they were applicable to South Hill and taking into account comments made by Parish residents at the various public events held since the start of the process. Please look though the linked documents and if anyone requires any more information, contact one of the parish councillors listed below. Any comments regarding the plan should be sent to the Parish Clerk, Mrs J Hoskin, Branston Farm, Bodmin Road, Bodmin PL30 4BB by the 18th September 2016. 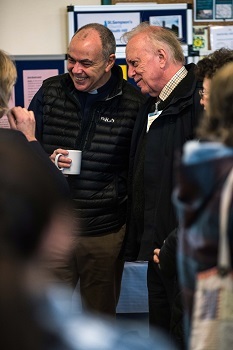 Please include your name and address and indicate your connection with the parish e.g. resident. Prior to the 1947 Town and Country Planning Act, most of the English countryside was wide open for any builder or developer to do what he liked. This Act, and its successors gave power to local authorities, and central government, to control what happens in our area. The 2011 Localism Act, which introduced Neighbourhood Plans, was an attempt to give some power back to us, the people who actually live here. Nobody likes giving up power, especially government, and there are strict limitations on what we can put into our NDP. Don't be surprised if not everything you told us in the survey we did at Christmas 2014, and our subsequent public events, has resulted in a planning policy. Alongside the NPPF and Cornwall LP:SP, the policies contained in the South Hill NDP will ensure that the voices of the parish residents are heard and will protect the parish from indiscriminate development.